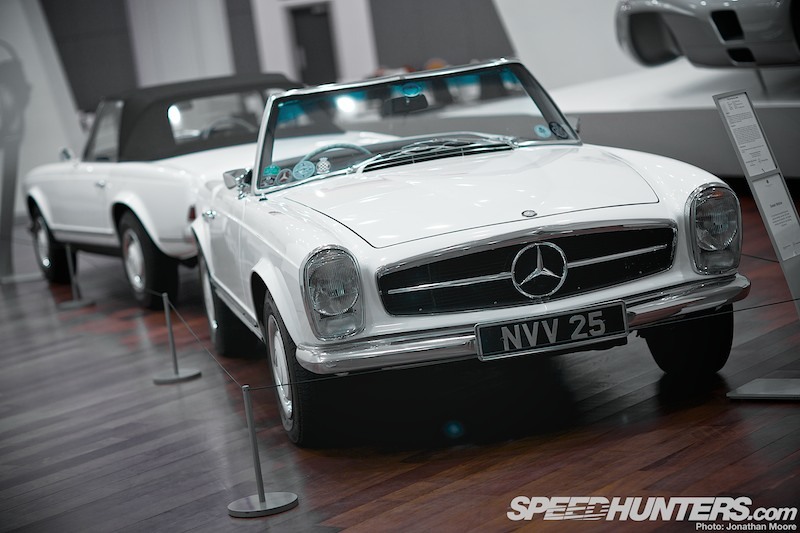 Take examples of almost 75 years’ worth of the classiest, most exotic, fastest and just generally most drop-dead beautiful Mercedes that have been built, and you have the Mercedes-Benz World collection at Brooklands in the UK. Putting age as well as beauty first, I’ll start off in true VIP style with the epitome of chic: a 540K Cabriolet C from, incredibly, 1937. Yes, it has the classic running boards and wings, but there’s just something about the lines of the 540K that oozes timeless class. 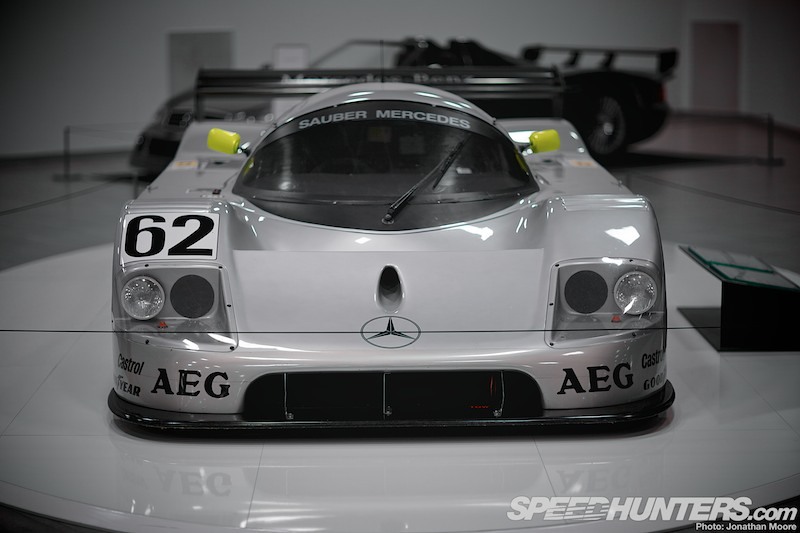 As with so many classic Mercs, it’s the shape that does it. Until the recent facelifts, Mercs hadn’t really turned my head since the 190 era, but the 540K doesn’t so much turn your head as try and tear it off. Very politely, of course. 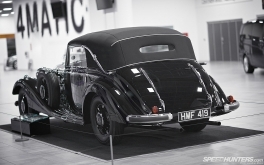 Maybe it’s the length of the bonnet, which goes on forever to contain the big inline-eight, but in a time where every curve required weeks of handmade craftsmanship, the 540K is the antithesis of boxy. They cost $14,000 new (about $225,000 now) so admittedly were frighteningly expensive. Owners included Jack Warner of the Warner Brothers film studio and Clark Gable – the only kind of people who could afford such a car. 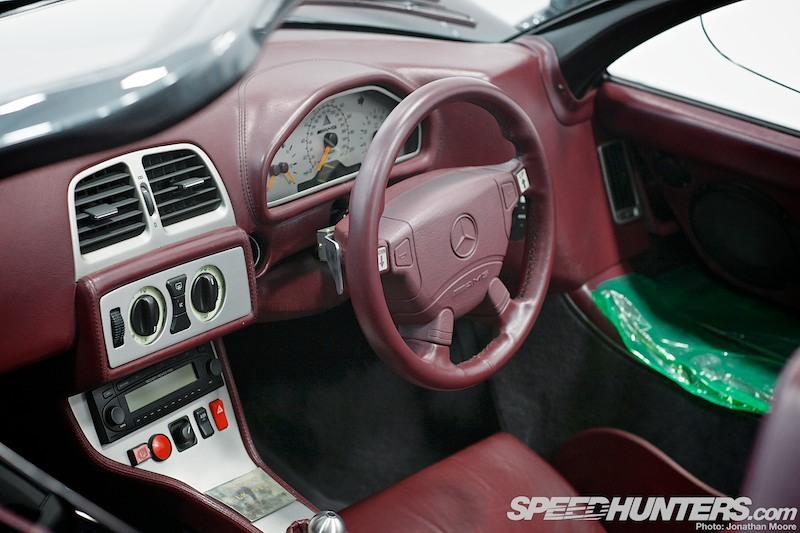 A huge team of 1,500 people at the Mercedes factory were dedicated to making 540Ks to order with whatever options the customer desired, which makes them even more collectable now. This was absolutely not about mass production… Think Veyron wearing a suit, especially if you come across a Autobahnkurier variant with even curvier fenders and cowled-in rear wheels. 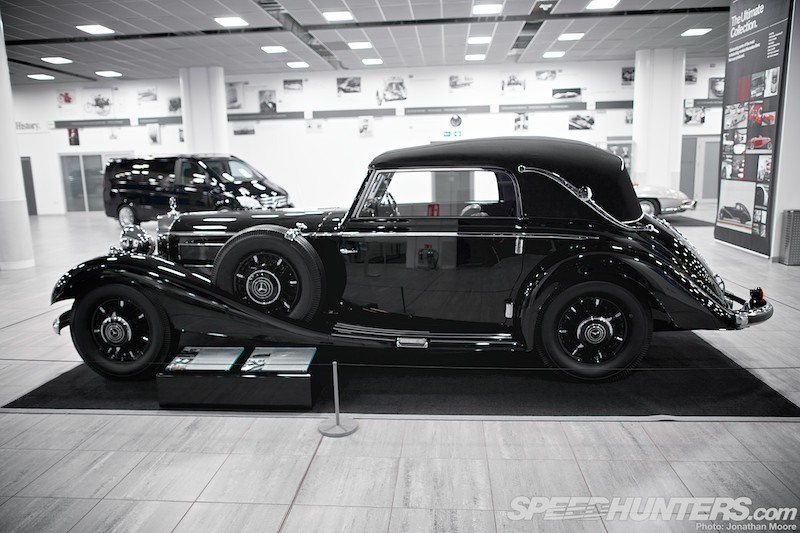 As you can imagine from its edgy looks for the time, it wasn’t just about style: the 5.5-litre engine developed 180hp and featured a Roots supercharger that came directly from the Silver Arrows Grand Prix programme. A 106mph was possible, complete with howling supercharged soundtrack, in utter comfort. 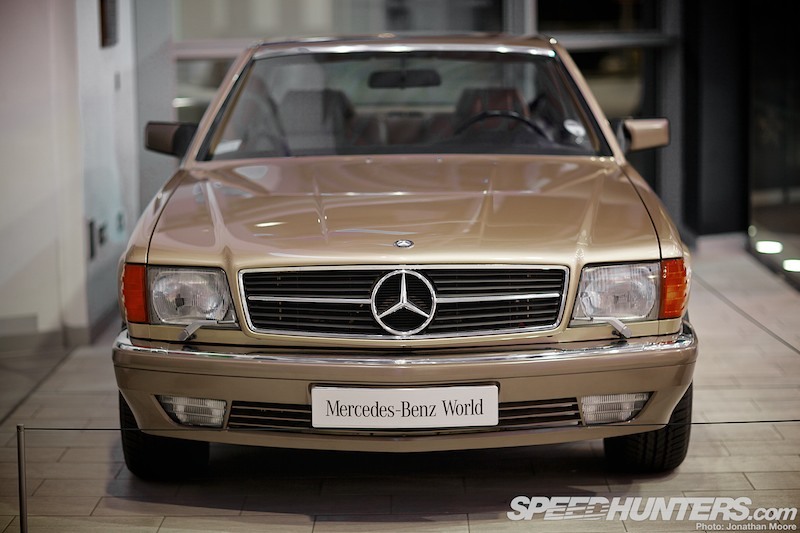 Just 32 Cabriolet Cs were ever built, and this is one of only three imported to the UK with right-hand drive. 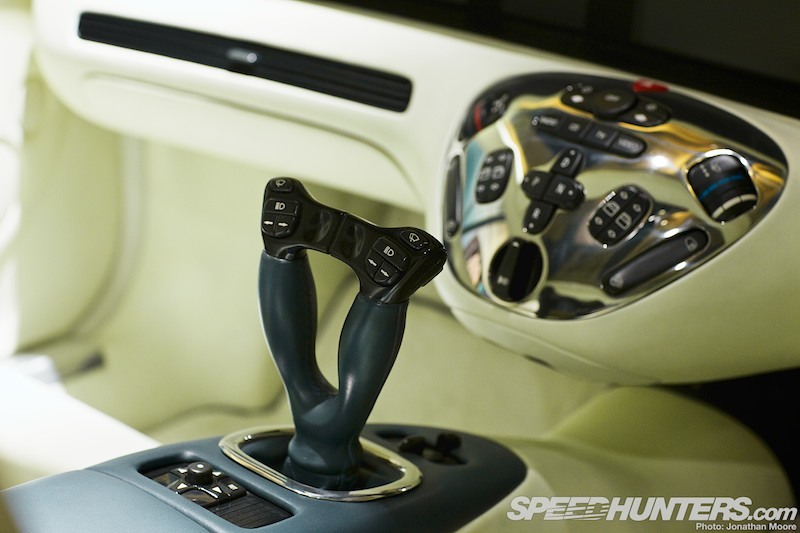 It’s not just exclusive, it’s utterly desirable. 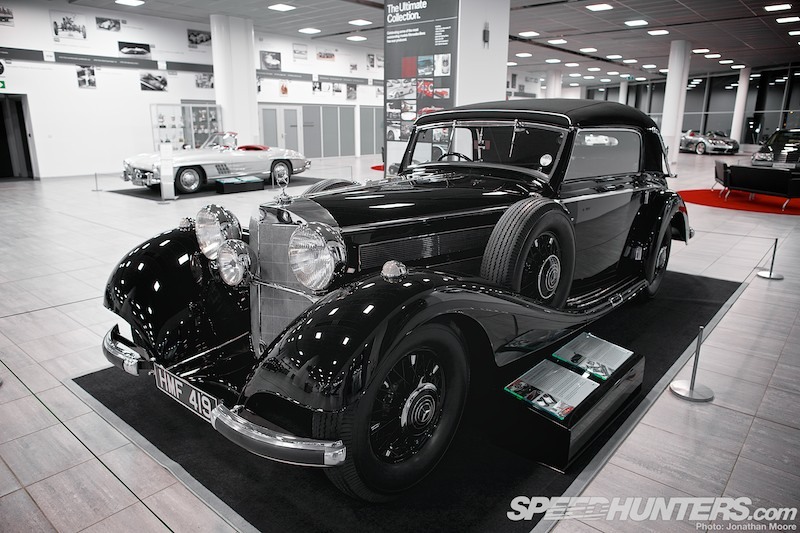 Considered the height of pre-War driving, a 540K recently sold at auction for a staggering $11.8 million, making it one of the most valuable cars in the world. 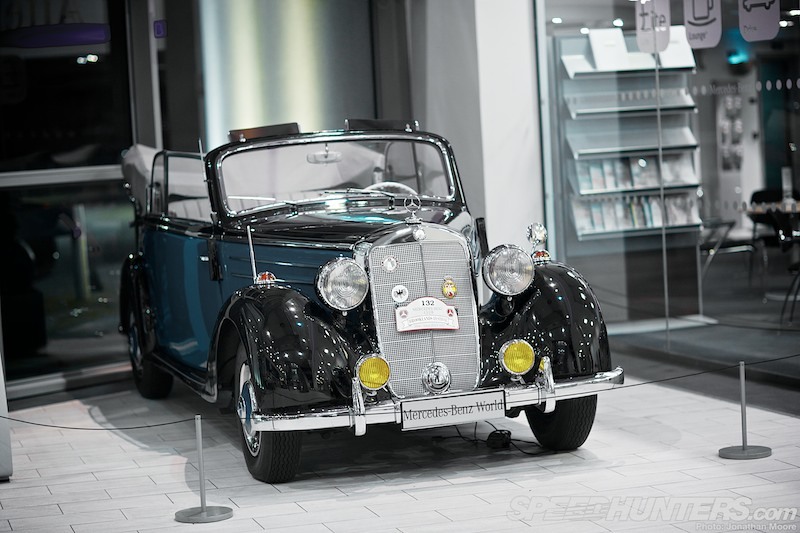 The 170S Cabriolet B is from 1951 and one of two cars immediately by the atrium doors. 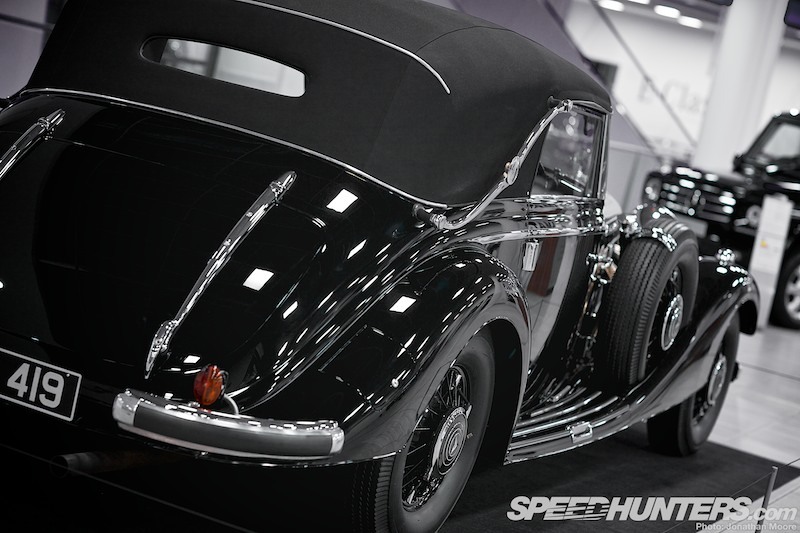 This is the drop-top version of a design that stretched back to 1936. 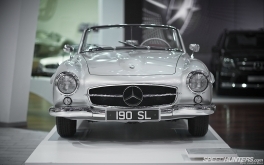 It’s an important car for Mercedes-Benz: it might look more dated than the earlier 540K, but it did feature hydraulic brakes, a rear swing axle and a handy 75hp from its side valve straight-four. 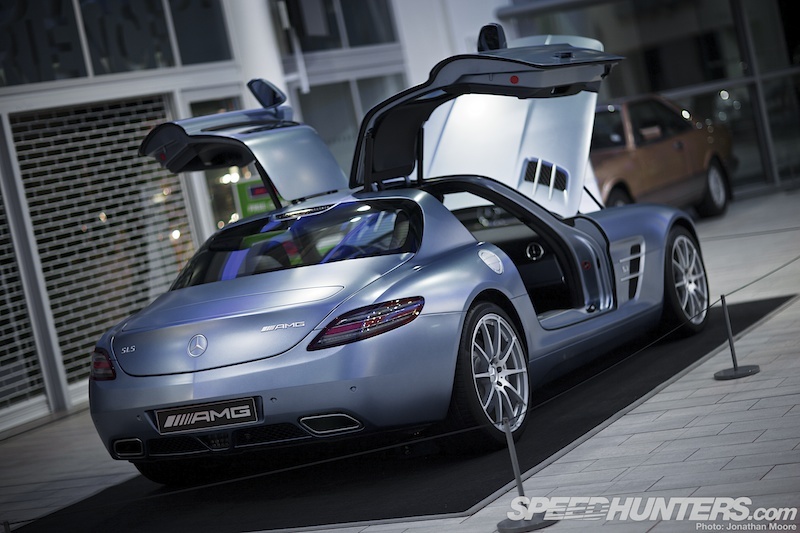 If you don’t like this car, then you truly have no soul. 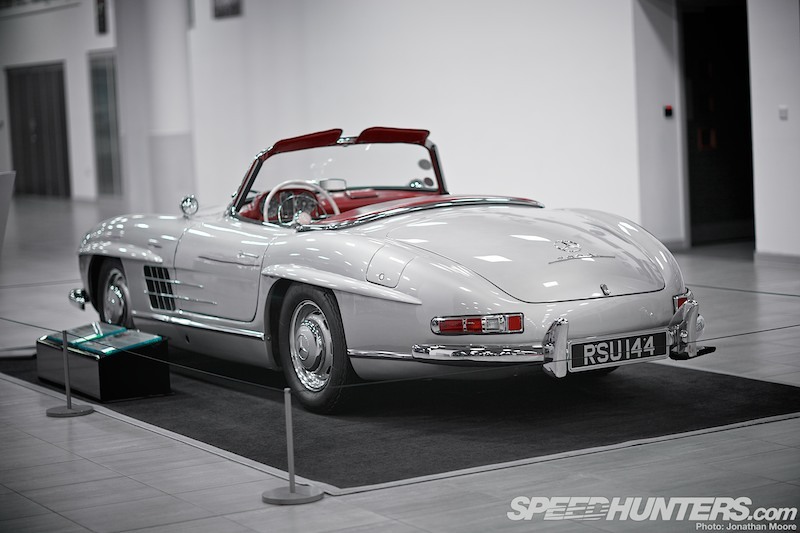 The 300SL Gullwing simply defines what a beautiful sportscar should look like, and had the performance to match. I still melt every time I see one: they are simply breathtaking in the flesh, full of soft, sculptural curves draped over raked-forward attitude. 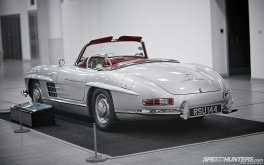 The racing version of the 300SL had won the 1952 Le Mans 24 Hours at its first attempt (with a one-two no less), and when the production version was released in 1954 the world gasped at the car, even before they heard (or cared) about the cutting edge spaceframe and direct injection technological innovations below. 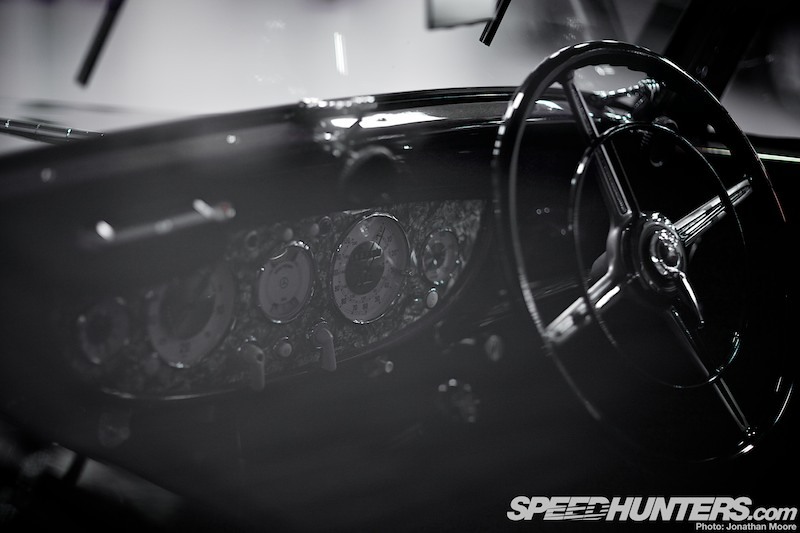 The Roadster had been planned from the beginning, particularly in response to demand from the American market, and 2,000 of the 160mph super cars were built. 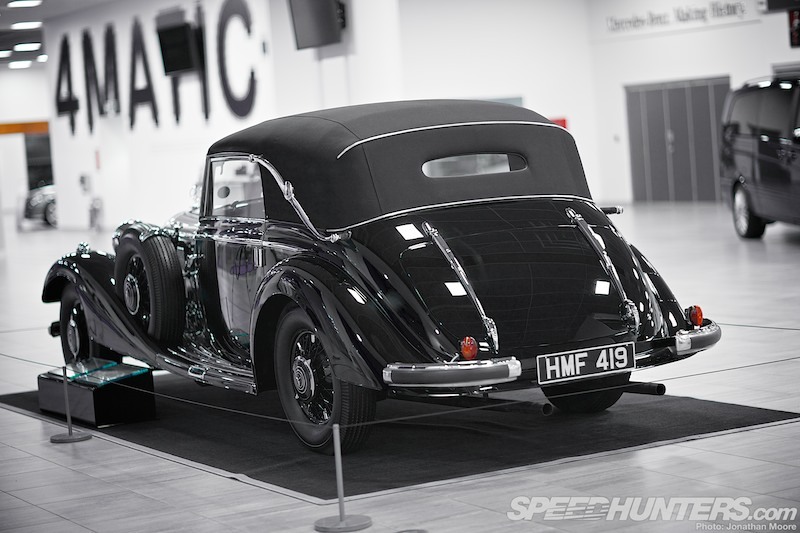 The chassis was strengthened and the sill lowered (the coupé needs a winch to get in and out of: you can see its racing origins) to allow for regular swing doors. 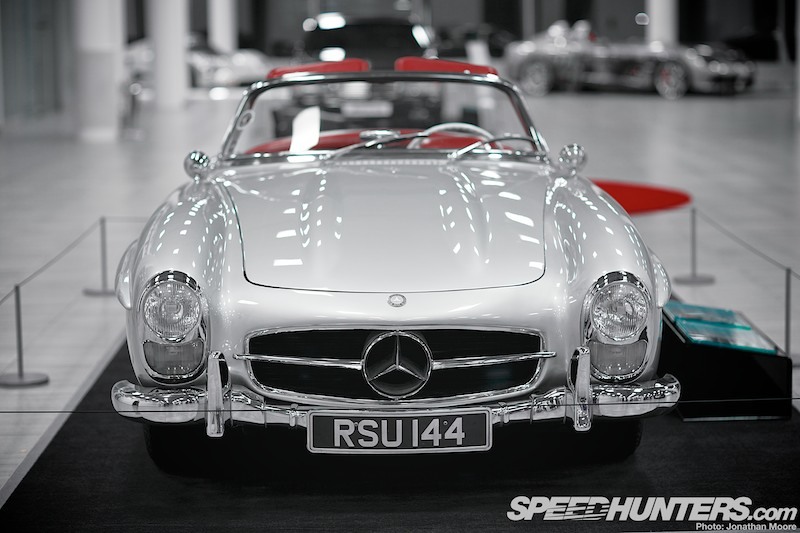 I’m not normally a roadster kind of guy, but with this… Well. Resistance is futile. 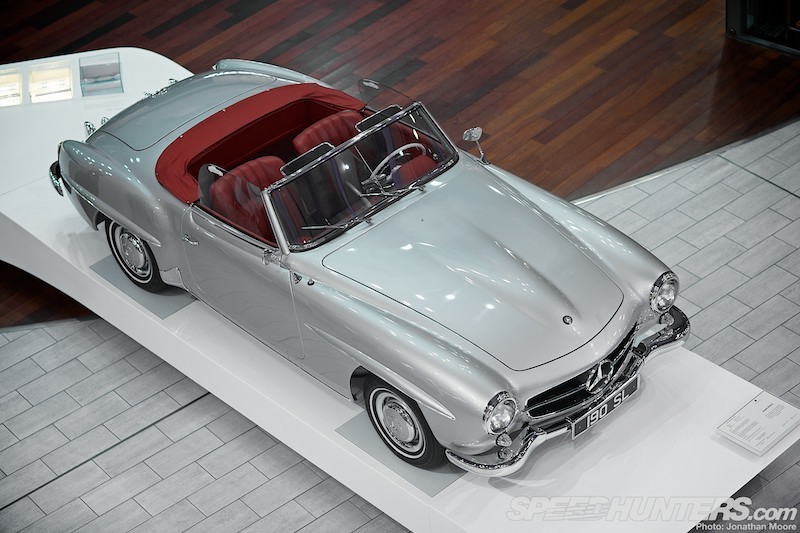 Next to the achingly good looks of the 300SL Gullwing coupé and its open-top sister, there’s little that could (or can) compete: except perhaps for their convertible little sister, the 190SL. Less potent with its 1.9-litre four-cylinder, it was still awash with the same technology as the 300: independent front suspension with coil springs, telescopic dampers with wishbones at the front, and low-pivot swing axles with coils, dampers and a rollbar at the rear. It’s a list that even now still immediately says performance. 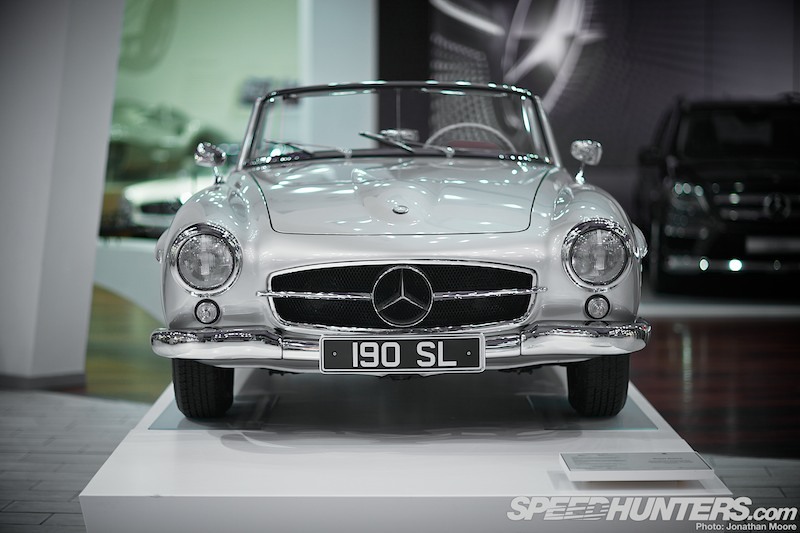 The chassis was different from the 300 though (it was modified from the W121 saloon) and the 190SL was available with a fabric folding roof or removable hard top. 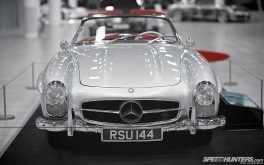 This is a 1956 drop-top model, loaned to Mercedes-Benz World at Brooklands by a private owner – as is a surprising amount of the collection, in fact. How to follow up from the 190 and 300 was always going to be a difficult task for the next model in the SL line, but the ‘Pagoda’ Mercs managed just that. 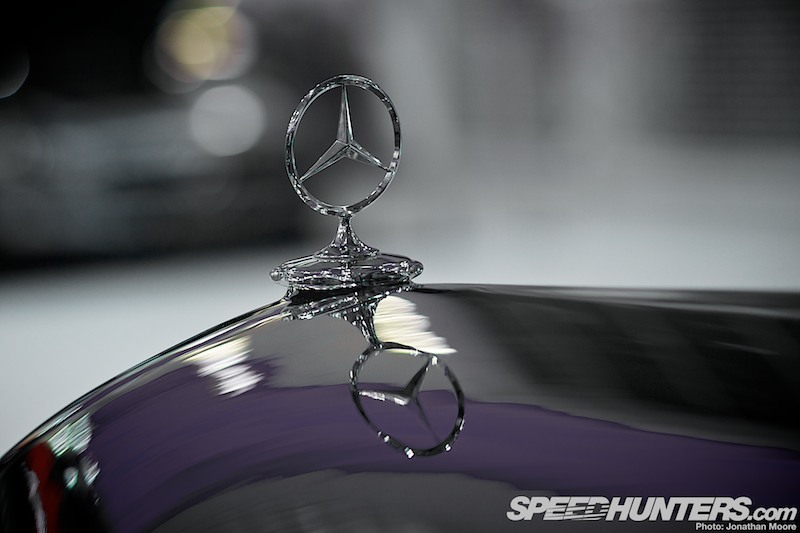 A very different shape, with modern straight lines and curved roofline, they’ve become one of the most iconic Mercedes there is, and deservedly so as the car that brought the three-pointed star to the masses (relatively speaking). 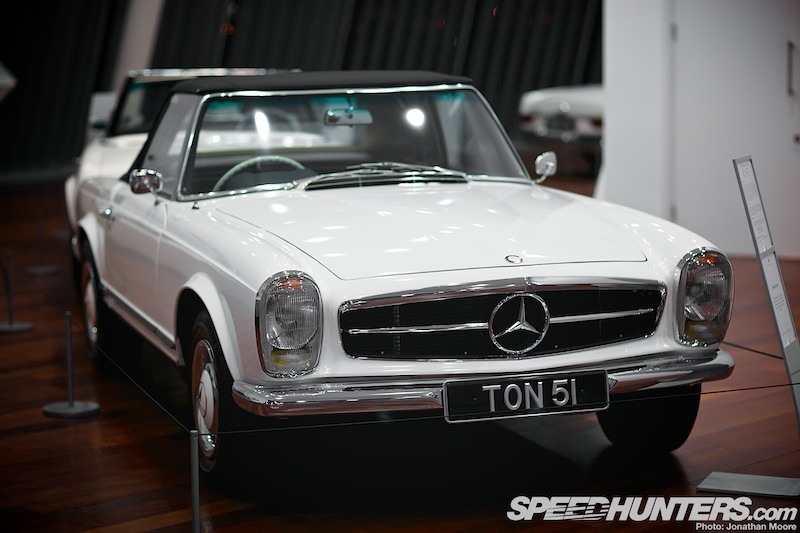 The roof line on the coupé was there for a reason: this was one of the first sportscars to incorporate crumple zones to protect the occupants, who also enjoyed power steering and servo-assisted brakes. Two Pagodas were at M-B World; both soft-tops. 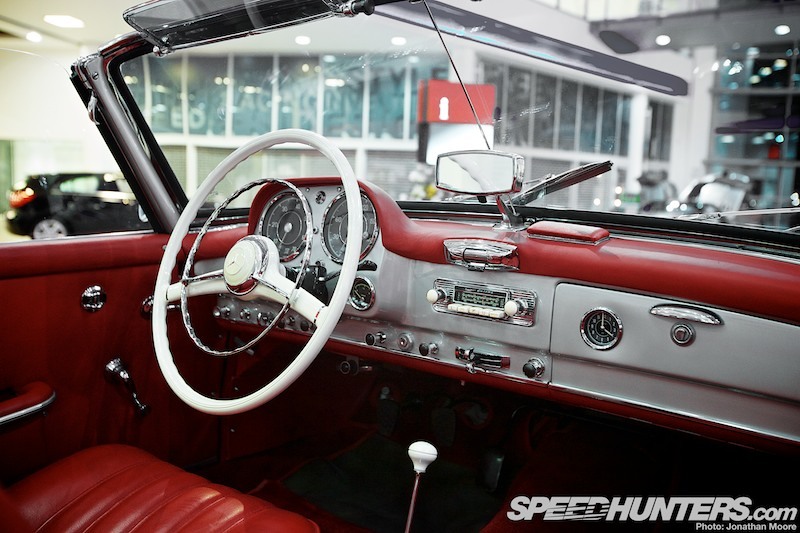 The Pagodas all had well over 150hp on tap and a top speed of 124mph, perfect for cruising the Californian coastlines or Mediterranean boulevards – as so many did. 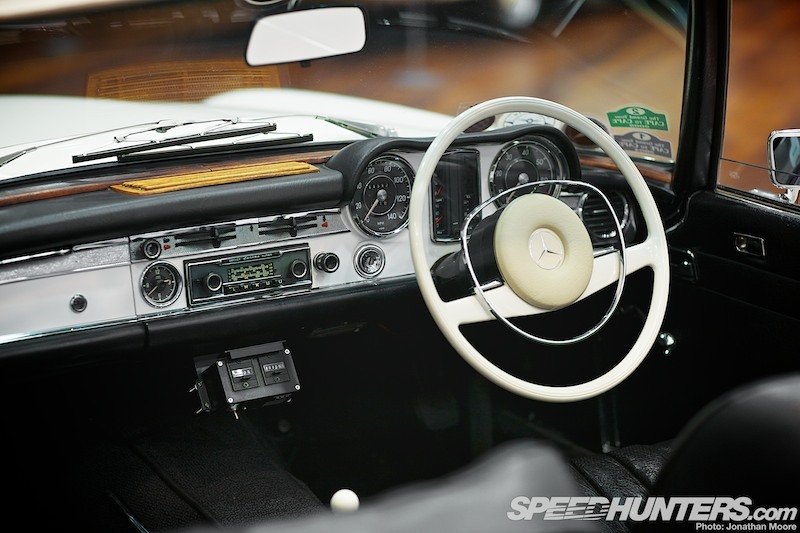 The 280SL was the big brother of the line: this is a ’69 model, with a 2.8 litre engine, the third of the Pagoda model (the originals had 2.3s, the second 3.5s). 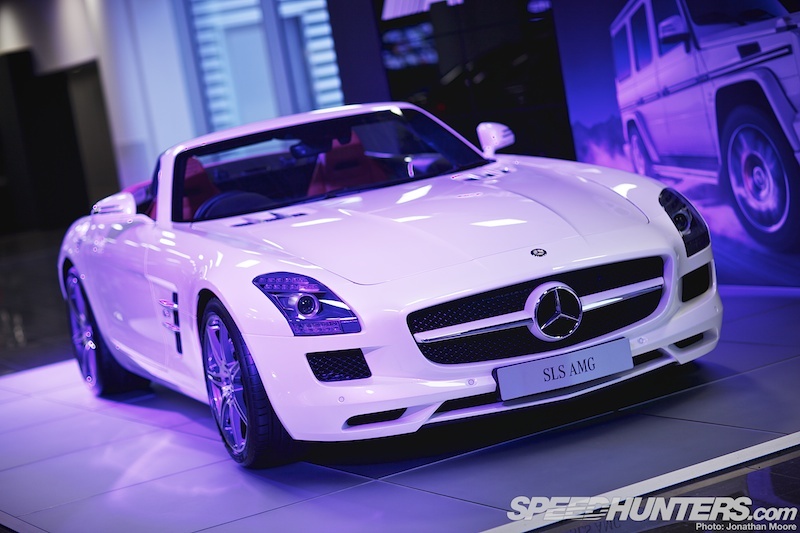 Around 20,000 of each were built, compared to just a thousand 190SLs for instance: proof of a growing appetite for sportscars. 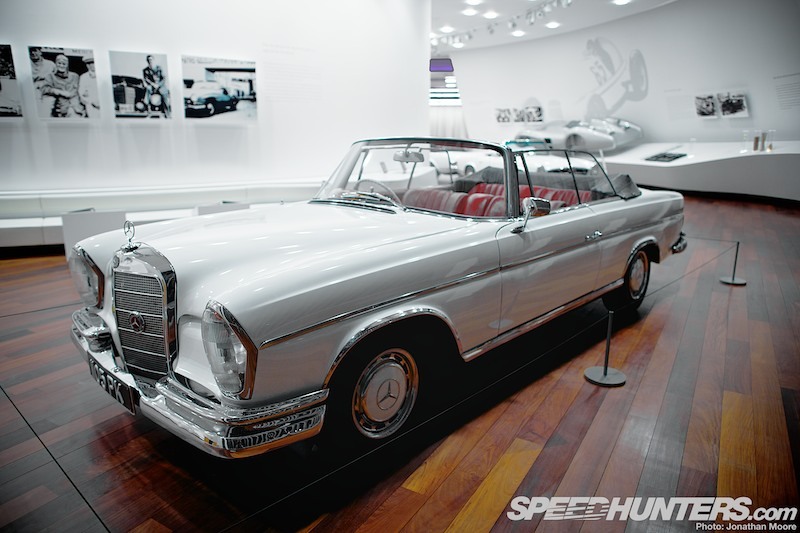 The S Class can be said to originate with this, the 1962 300SE luxury cabriolet. Just that little bit bigger and more grown up than the more bohemian 200 range, the 300 series concentrated on comfort rather than outright pace. 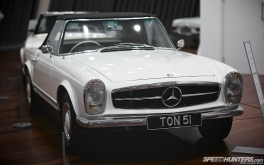 This actual car was owned by the late legendary comedian Peter Sellers – he bought it new, and his wife Britt Ekland owned a matching white 230SL! I’d definitely plump for the latter. In every sense. 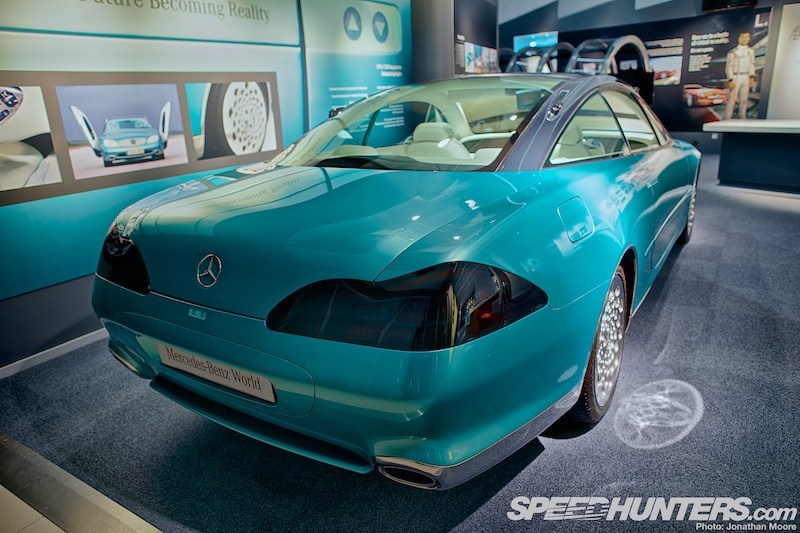 The 560SEC from 1988 shared door guarding duties in Mercedes-Benz World’s atrium with the 170S: this is another sledgehammer luxury sleeper, with 300hp on tap from its 5.6-litre V8 which made it the most powerful Merc in that period. 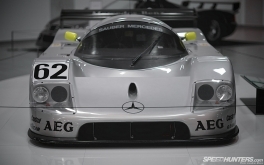 Mercedes have always dabbled in stupidly powerful cars, but they’ve typically been reserved for the track or not overtly marketed in the supercar bracket. 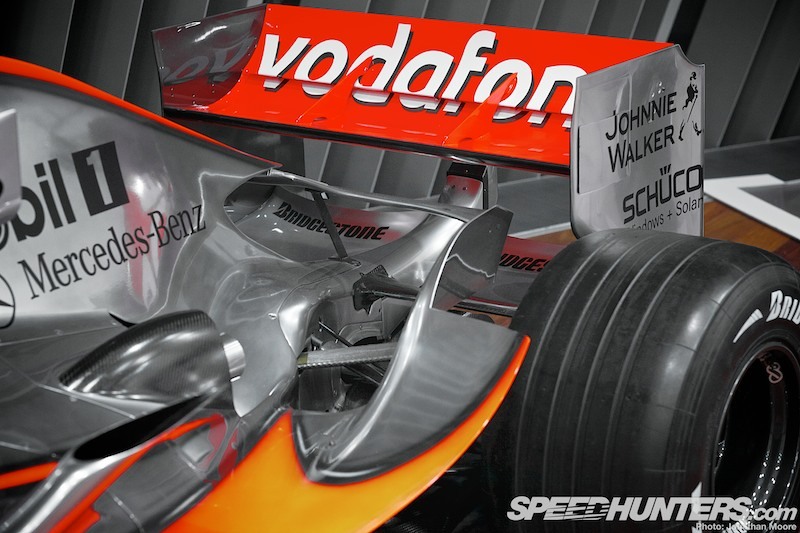 That all changed in 2003 with the SLR, made in conjunction with then F1 partners McLaren. 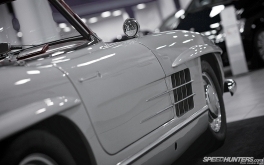 The name was taken from the marque’s famous Mille Miglia win in 1955, and in the final year of production, 2009, they produced 75 Stirling Moss special editions. 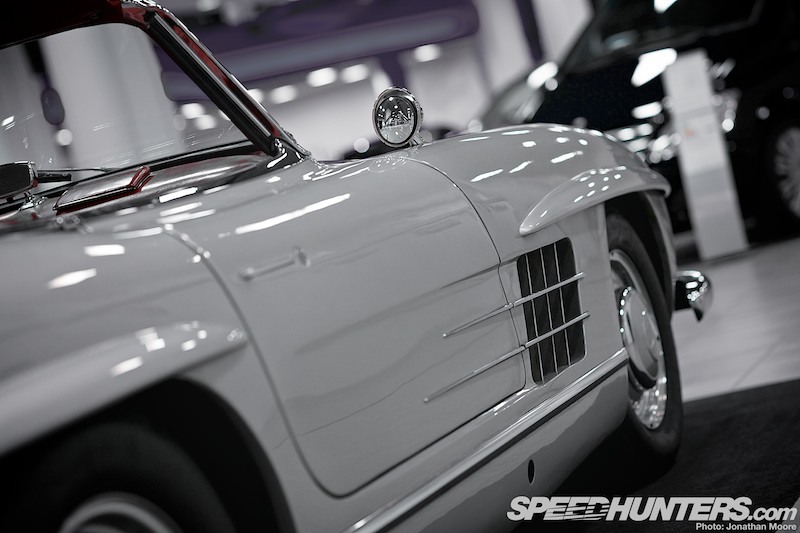 The carbon-fibre chassis was ground-breaking, making it the one of the most rigid open top cars ever, and the spartan body of the Stirling Moss chopped 200kg off the weight, allowing that 650hp V8 even more savage freedom – all the way to 217mph. 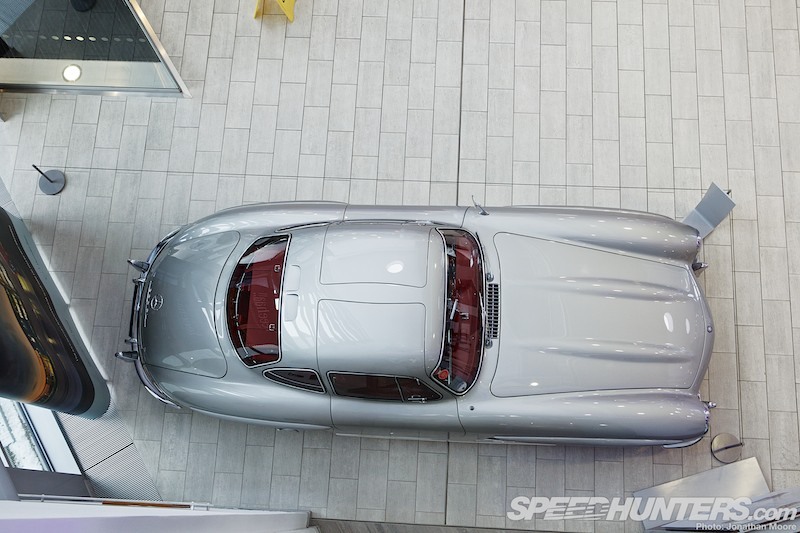 That meant that if you did see a Stirling Moss, this was likely the view you’d see. 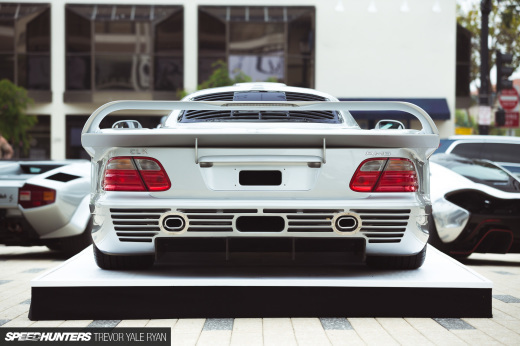 The CLK GTR was a car that Mercedes-AMG didn’t really have to make, but thank god they did. 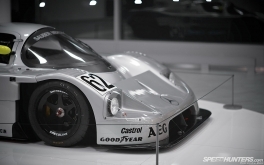 They’d raced the epic CLK GTR in FIA GT and at Le Mans in ’97 and ’98, battling the Porsches and McLaren F1s, but hadn’t really got round to making the required number of road-going homologation specials. 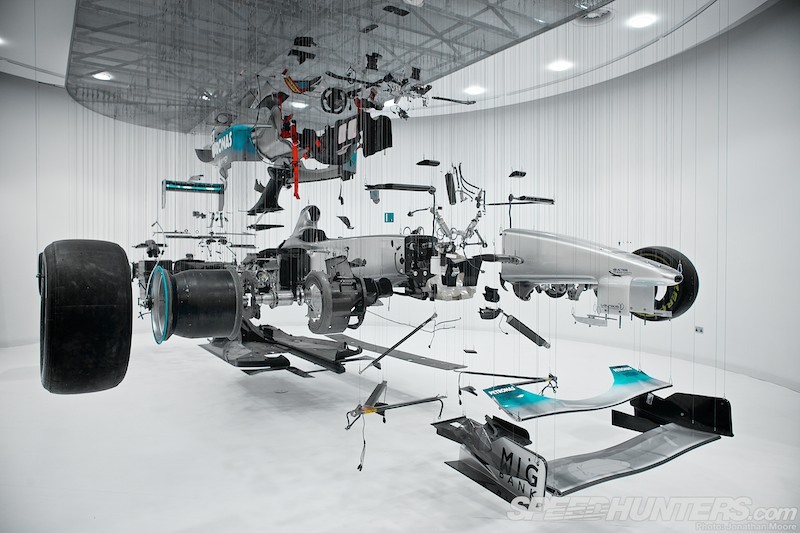 But that’s sort of what everyone had done for decades: create the racer first, then fudge the homologation. 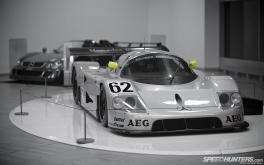 25 were demanded, and only one road car had sort of been made back in 1997, but by 2006 – perhaps to keep in the good books with the FIA – they finally did complete the production run proper. 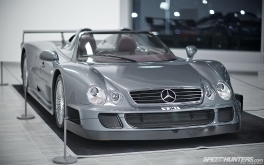 The grille came from a standard CLK, everything back from that was straight from the land of carbon and it featured horsepower numbers that you need a Le Mans’ grid of drivers’ fingers and toes to count. 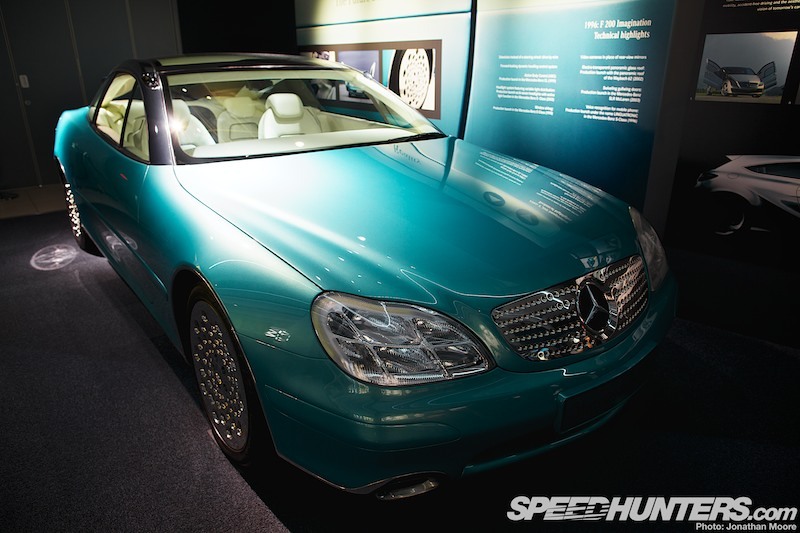 Just to show off, they actually built 26 – 20 coupés and six roadsters. 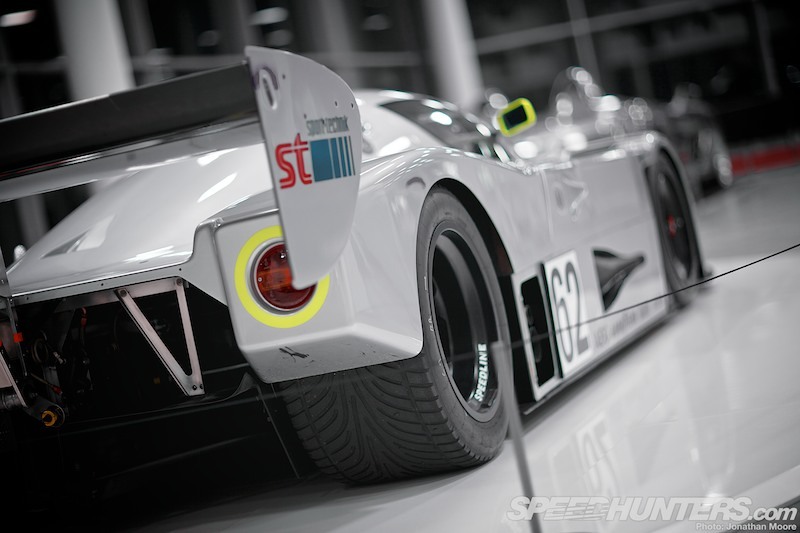 They were ridiculously brutal with virtually no concessions to comfort, but like other road-going specials before, like the rare and insane 917 and 962 street cars, despite being the most expensive road car ever up to that time, they still all sold straight away. Crazily, this roadster was bought by the Sultan Of Brunei, who must have had a good supply of hats and sun cream combined with a fine tolerance of rain. 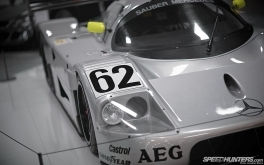 Moving from race-inspired to just plain racing, the Sauber C9 was raced at the peak of a series that was already considered the zenith of sportscar racing: Group C.
This is surely one of the most purposeful, pure racing cars ever made. 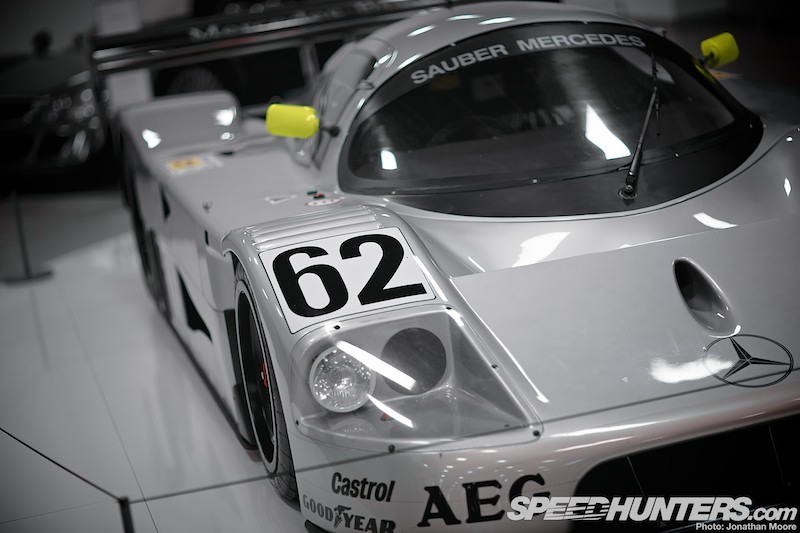 Clean and functional, the Sauber-Mercedes Group C cars truly picked up where the Silver Arrows had left off, by smashing the opposition. 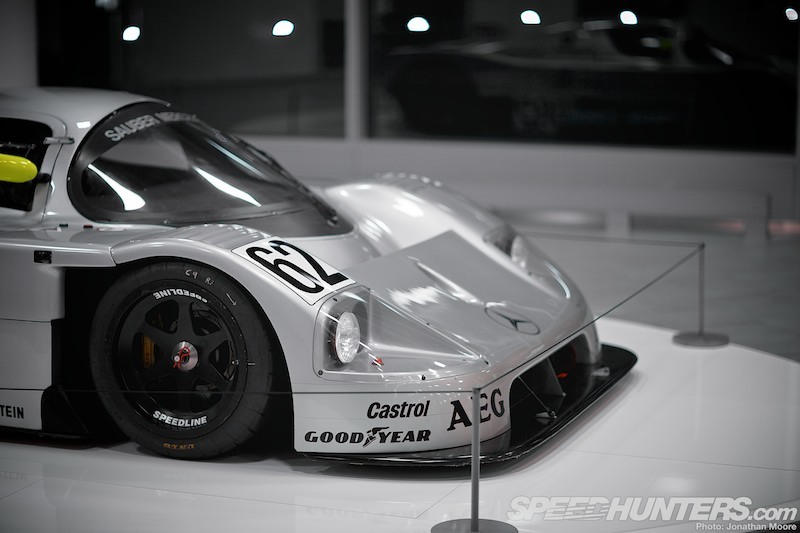 This is chassis #5, which won the World Sportscar Championship and Le Mans in 1989. 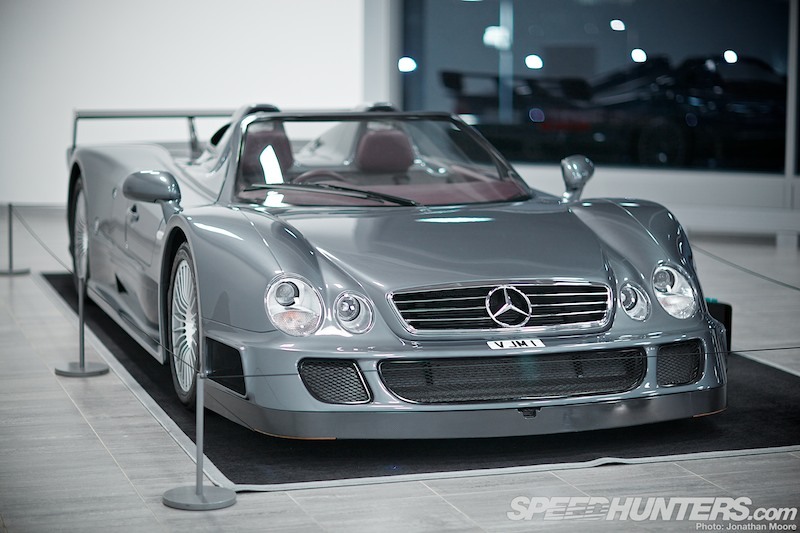 It also holds the record for the fastest speed ever recorded during an officially timed race. F1? Pah. 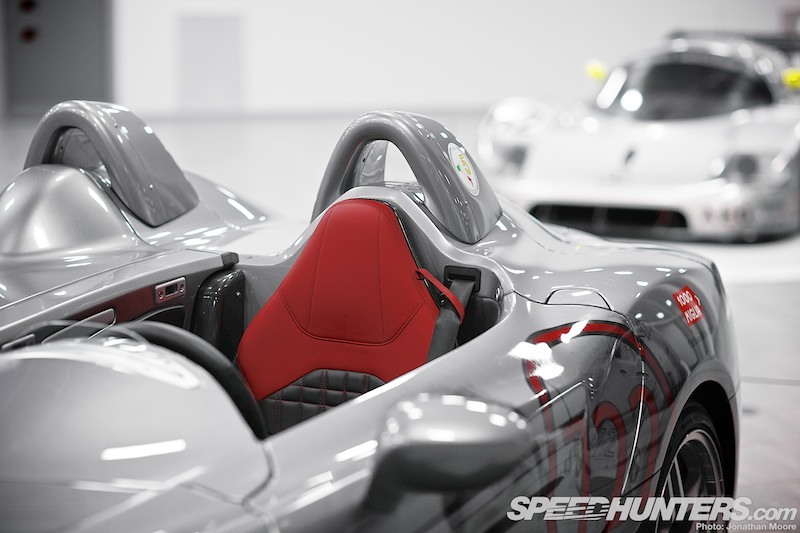 Glorified go-karts. 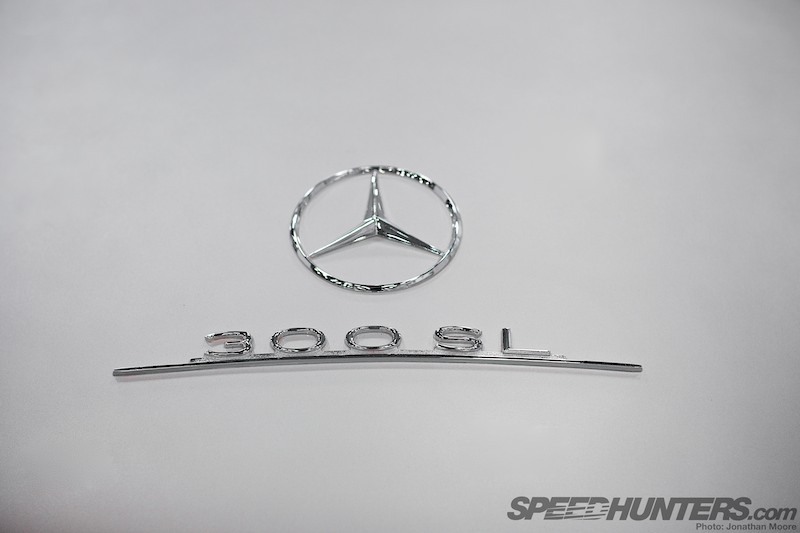 The C9 could make an obscene 253mph down the Hunaudières straight on the way to Mulsanne: its 5 litre V8 put out over 800hp in qualifying trim from a heavily developed (and twin-turbocharged) version of the SL500 block. Even better, I’ve just been watching the car’s owner, Gareth Evans, pedal his C11 to pole by six seconds at Barcelona. 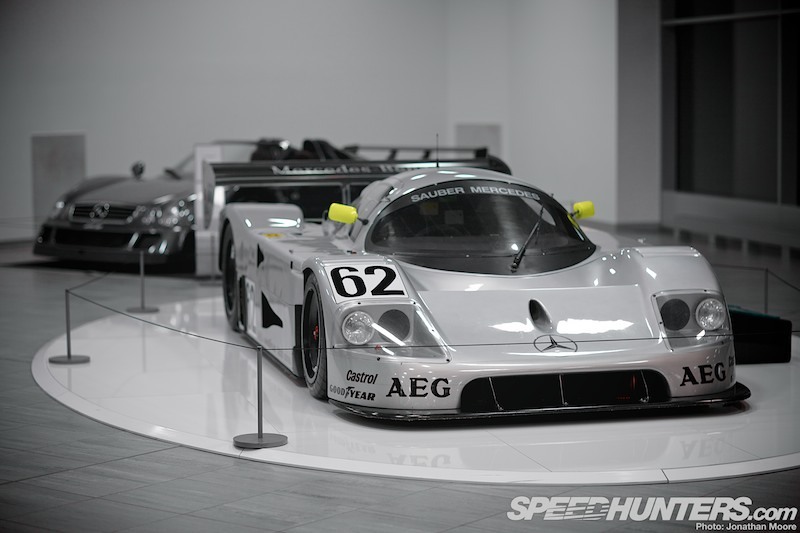 “My other car is also a Mercedes Group C car”. He’s a lucky guy! 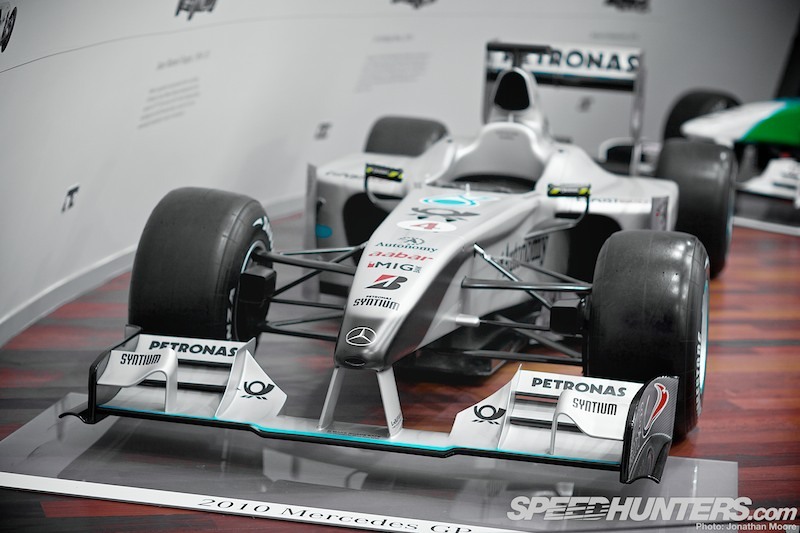 Mercedes-Benz World’s racing collection continues with a set of five Formula One cars, one of which is in need of some serious spannering. 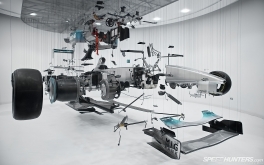 ‘View Suspended II: An Artwork’ is the creation of artist Paul Veroude, who was responsible for the installation’s original incarnation as a Honda at the London Motor Show in 2006. 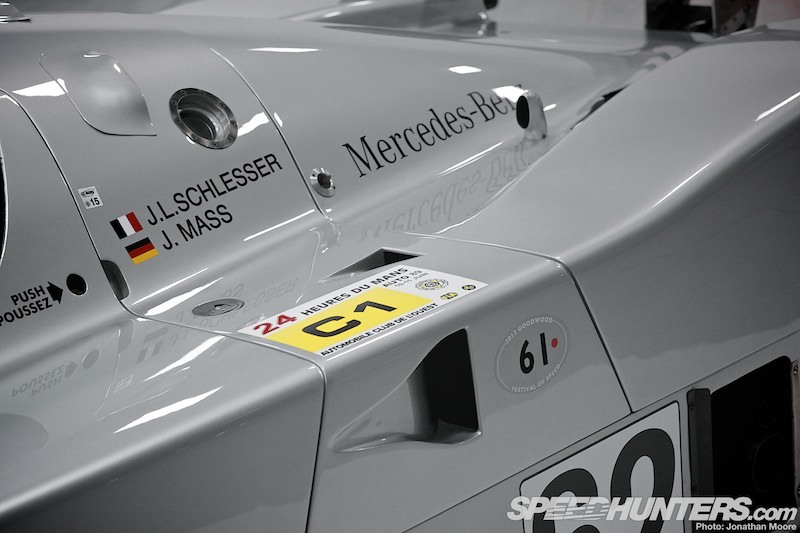 The other F1 cars were interesting, with the caveat that of course they’re the usual mix of spares and base chassis. So, with that in mind, I’ll let you play ‘spot the actual car'; here’s what the signs say. 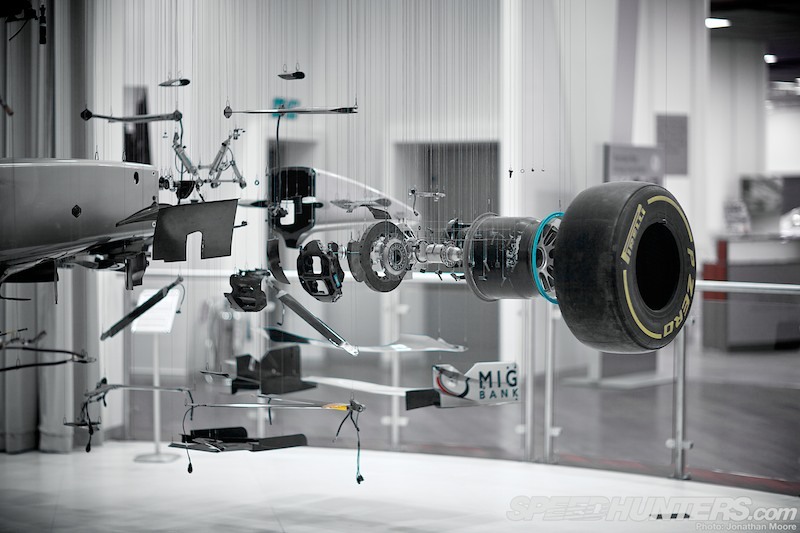 First up is Nico Rosberg’s MGP W01 from 2010, the car they inherited upon purchasing Brawn. Whatever the actual provenance of the car, it must be a very cool thing to be sitting here. 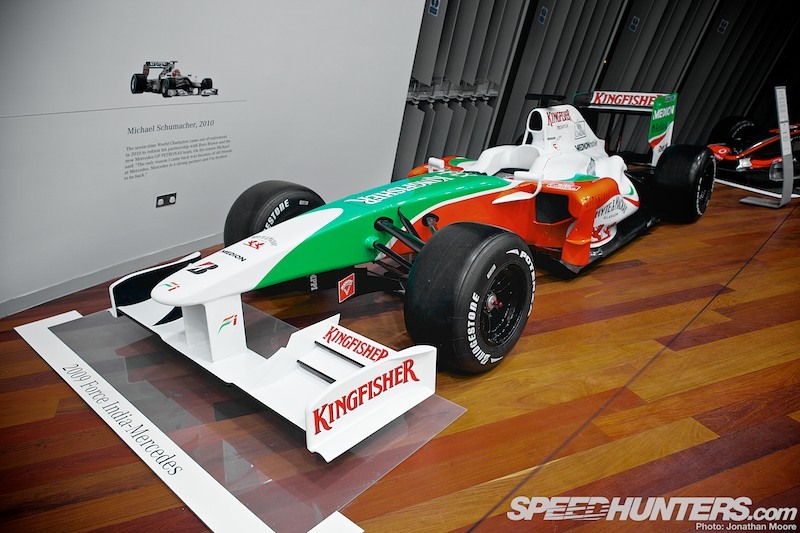 A Force India VJM02 from 2009 highlights both the customer engine programme and one of the more successful years for the Force India team. 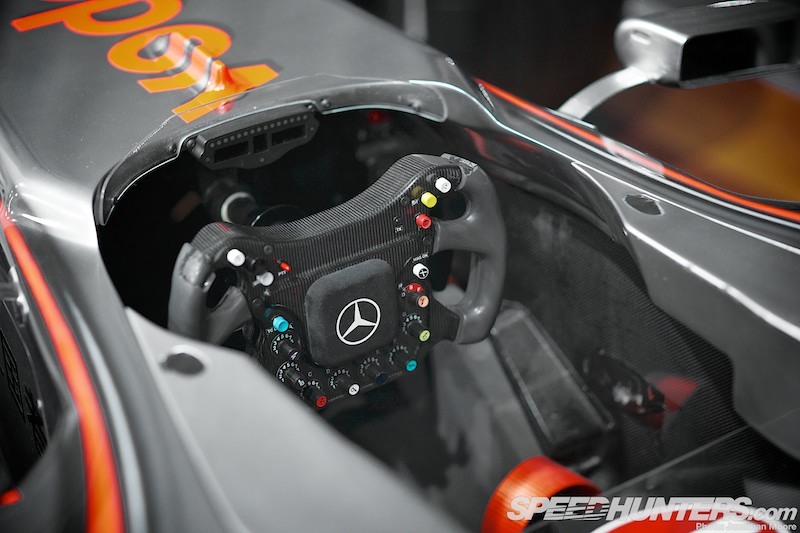 As interesting as the cars are the steering wheels: you can see the evolution of these carbon-centred techno hubs as they are now, compared to the far simpler, well, actual wheels of previous eras. 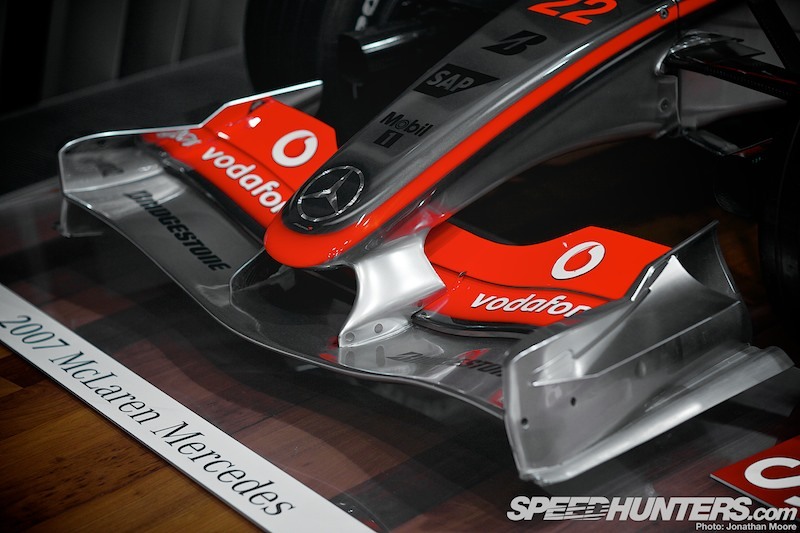 This car represents the MP4/22 from 2007, driven by Lewis Hamilton (MP4/20 underneath, some have said?). 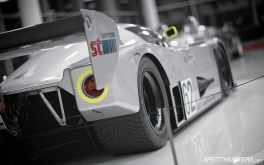 It was the final year of the uber-complex external aero shaping, so the car’s bodywork is a riot of interwoven carbon curves and channels. 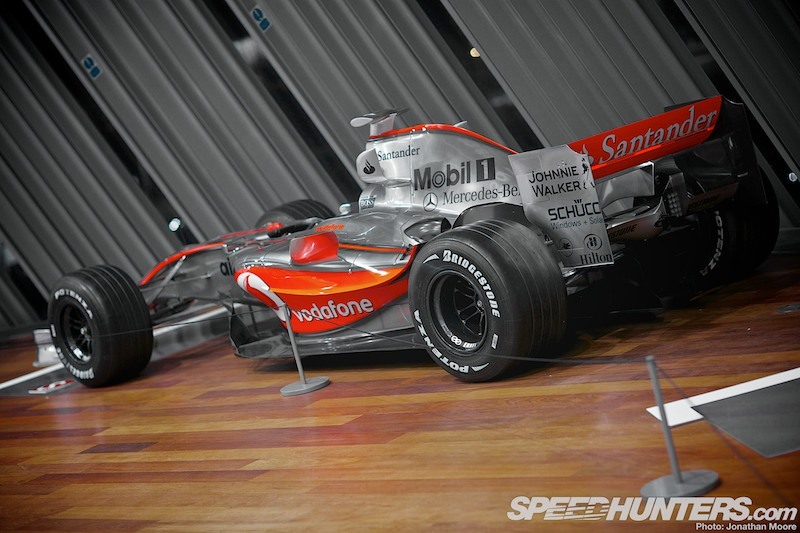 The oldest car there was Mika Hakkinen’s MP4/14 from 1999, the second year he took the championship for McLaren. 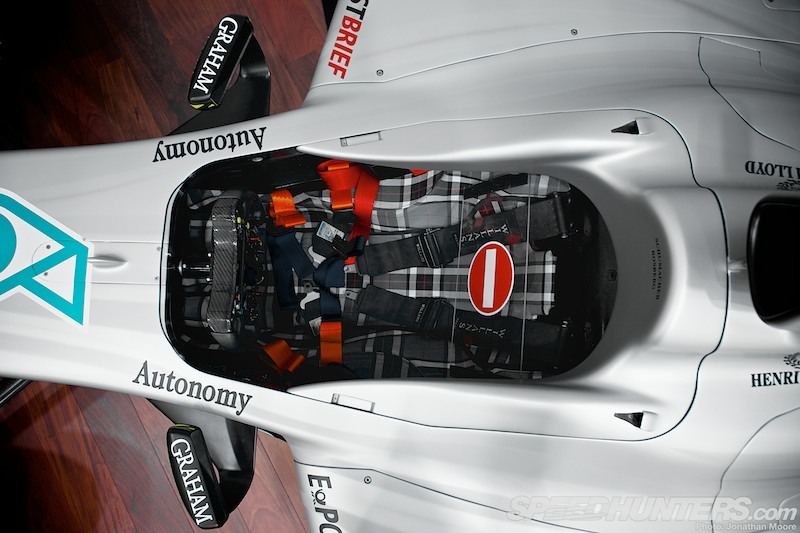 The aero looks positively agricultural compared to the MP4/22: all the edges seem hard and simplistic, like the late F3000. Which I’m sure nobody except me really cares about. 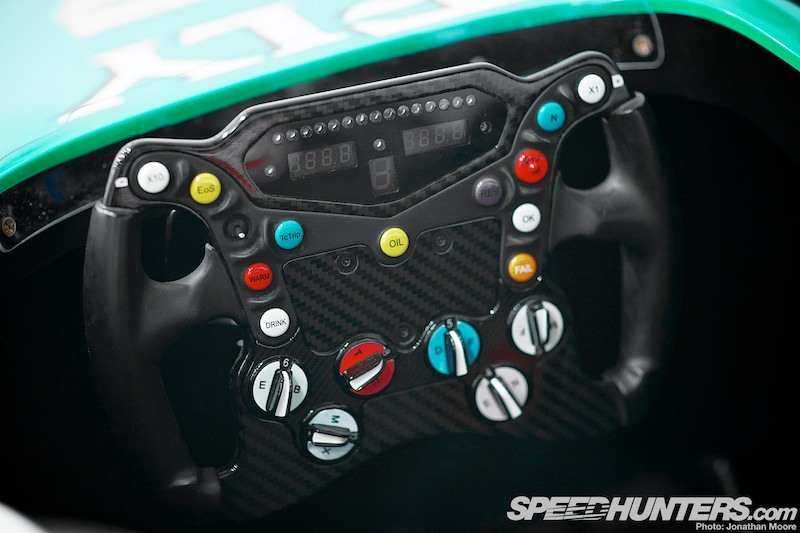 And as for the wheel, a puny five buttons and four dials? Child’s play! Finally, something definitely mocked up, but perhaps with a lot more practical relevance: the F200. Concept cars might often be out-there examples of exactly what a company won’t produce, but except for a couple of (admittedly major) things, the F200 Concept from 1996 seems to have provided a test bed for a number of features that made their way into production Mercs, like side airbags, swivelling gullwing doors, variable bi-xenon headlights and the electro-transparent panoramic roof. 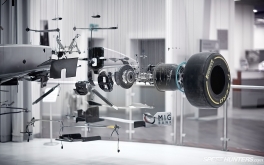 As you’ll immediately notice from the interior, there appears to be a major piece of kit missing. 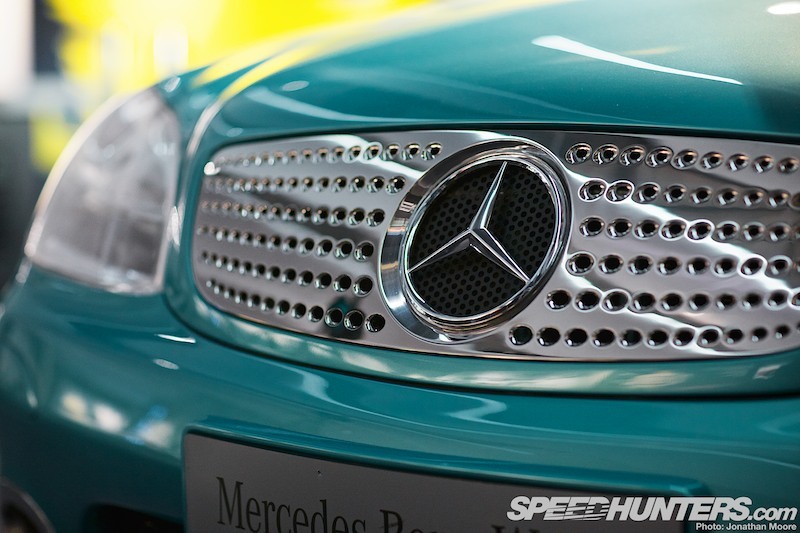 Silly Mercedes! You forgot the steering wheel and pedals! 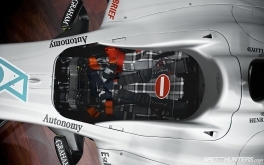 The F200 used a set of fighterjet-style sticks instead to control steering, brakes and throttle, and also utilised a set of video cameras and screens instead of mirrors. We’re not quite there yet, on the former at least. 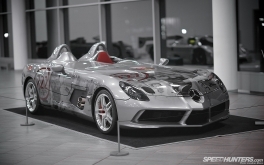 As a final look at Mercedes-Benz World and as a nice segue into our Supercar Theme, I’ll next be perusing the AMG collection. 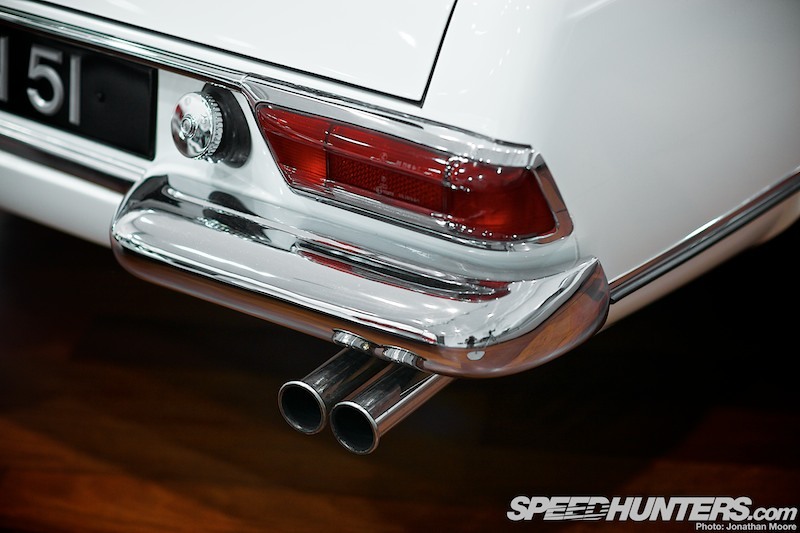 Prepare for big horsepower numbers.